Adam Frei interviews Dharma Yoga founding teacher Sri Dharma Mittra on the commitment to yoga and self-realization. Adam: For the New Year, what are your suggestions? If someone is trying hard — they make a resolution that they are going to do a certain thing: to eat better, to be kinder, to be more devoted to their guru, to be more devoted to their yoga practice, etc. What can we do as students to be true to the things we promise? Sri Dharma Mittra: You should start the day with good things. When you start, it’s always with remembering the Almighty One. We then have to clean the mouth and wash the hands. Then, with the mouth clean, you can do your prayers. In order to have the energy to start the day like this, the evening before you must be firm in your promise (intention). You can even sign a paper: I will start the day like this. We should also try and start a New Year with good things — good intentions — the best that there is that is available to you. We have to make a promise. If you believe in a saint or there is a deity in whom you believe, if you promise to him or her to do this or that act as an offering, maybe then you have the power to keep it. And then you will start the year doing good things. In reality, everything depends upon your decisions. Everybody has lots of plans always. A New Year is a good time to put them into practice because there are infinite numbers of people making new commitments for the New Year. By making and keeping New Years’ resolutions, we will be able to merge in that ocean of decision. So, do it not only for you, but imagine that all beings are sharing those benefits through you and through your actions. And, you have to have faith. If you don’t start the year doing good, it is a natural tendency: you are going to end the year just the way you started, and that will be a disaster! So, make your decision, sign a paper if you can and, the best offering: offer everything to the Almighty One because whatever you offer to Him, you cannot break that promise. A: You sometimes use the example of when you are in your lane on the highway and a truck tries to push you into another lane. A lot of people, they try, but they have a feeling that forces outside of them push them away from what they try to hold onto. Should they surrender to being pushed away, or should they stand supreme? SDM: Well, the idea is to stand supreme as much as you can. Stay in your lane, even if a semi-tractor trailer truck is pushing you to the side. As soon as he gets off your back, go right back to your lane. It is a natural tendency that whenever we are making a good decision, our own negative things from the past: our fears, our karma will try and push us off course. Some people call it the devil: evil. No. It’s your own tendencies, your own mind, your own personal self that you still have to master. This, combined with the mind, will do everything for you not to be able to follow that — to break from it. For example, your mind at the New Year in the morning is capable of making you feel a little headache so that you find an excuse not to follow the instructions. Also, you’re going to find lots of friends outside: temptations. It’s amazing — it’s like a psychic thing. You make a good decision and you are already spreading that psychically to all beings, but, according to your conditions, you are going to find lots of obstacles trying to break your decision. In yoga, we are trying to reach Self-realization and the gods who are not Self-realized yet will do everything for you not to achieve Self-realization because if you do, you don’t pay attention to them anymore. This is just an example. So, watch every time you are trying to stay in your lane, lots of semi-trucks — 18-wheelers will try to push you away from your lane. Remember also that you are in a specific lane for a reason: your lane is yours. You should try and stay in it as long as it’s open. If you get pushed out, you are back to your lane as soon as possible. If you cannot fulfill your goal for some reason, don’t feel guilty. What is most important is the amount of effort made. You did your best to keep it, you understand? Then you receive the full benefits. Like my guru once told me after I admitted to him: “I cannot follow the instructions, but I do my best.” He replied: “Don’t worry, my son. As long as you do your best and see that what you are doing is right, correct: perfect — it’s always perfect. Then you are gaining the benefits.” As soon as the obstacle goes away, you are back there again in your lane trying your best. That’s what I think. A: So for the people who are worried about the state of the world, about the humanitarian crises in Syria and Yemen, and the millions upon millions of living creatures suffering everywhere, what can we do going into the New Year to help? SDM: Well, the best things are prayers — creative thoughts. Or, to go to a meeting that helps bring about world peace. If you could, if you have money or whatever, find a nice organization to help. If you cannot do that, use prayers and compassion. Otherwise, you’ll be suffering, too. So, do your best to help in prayer. If you can help physically, that’s the best. If you can go online and help in some way, or be part of a gathering or rallies, do it. In reality, one should not worry about all of this. If living beings are suffering according to the Laws of Karma, it’s painful, it’s terrible, but they have their karma and that is all part of life. We should always do our best, but don’t get involved too much with all the pain and suffering. You already passed through that, too, or will someday, so just do your best where you are right now. A: For those who have not yet learned about yoga, do you think yoga is a good thing to help in the New Year? SDM: It depends. The first step of yoga, the ethical conduct, is to be compassionate. That compassion is the secret — I think it’s the secret of everything. Compassion is the root, the foundation of all religion. Compassion helps perfectly. Like the Buddha said: “Concentrate on compassion.” So, see yourself in others and do your best. If they of the world continue to suffer, don’t worry. G-d knows why they are suffering. I think that’s it. 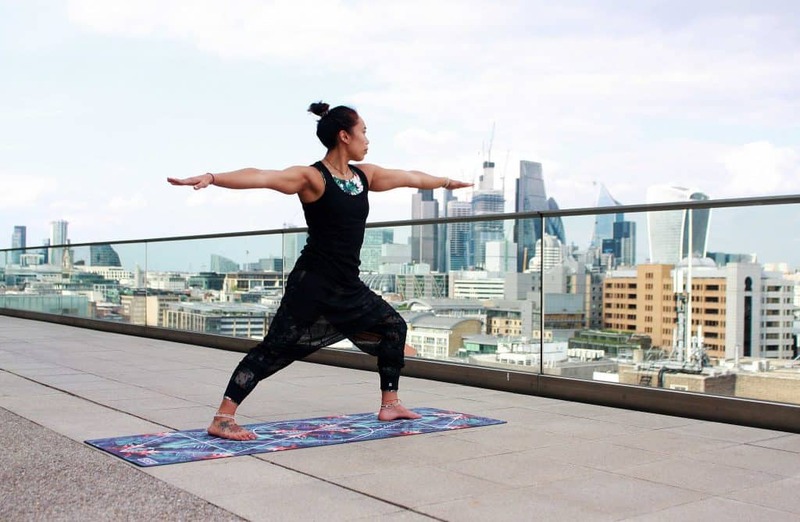 Immerse yourself in a dynamic practice that is firmly rooted in traditional yoga. Learn more of Sri Dharma Mittra. Sri Dharma Mittra is a globally renowned yoga teacher who first encountered yoga as a teenager. He then met his guru in 1964 and embarked on intensive and profound training. 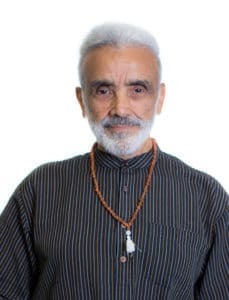 Sri Dharma Mittra founded one of the early independent schools of yoga in New York City in 1975 and has taught many thousands of students around the world since then. 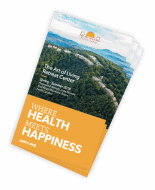 Today, he continues to disseminate the complete traditional science of yoga through daily classes, international workshops, and his Life of a Yogi teacher trainings at the Dharma Yoga New York Center.